(3) 3 x 9x15 ft. industrial shelving units, enamel paint. (135) 3 x 4 ft. wood pallets, latex paint. 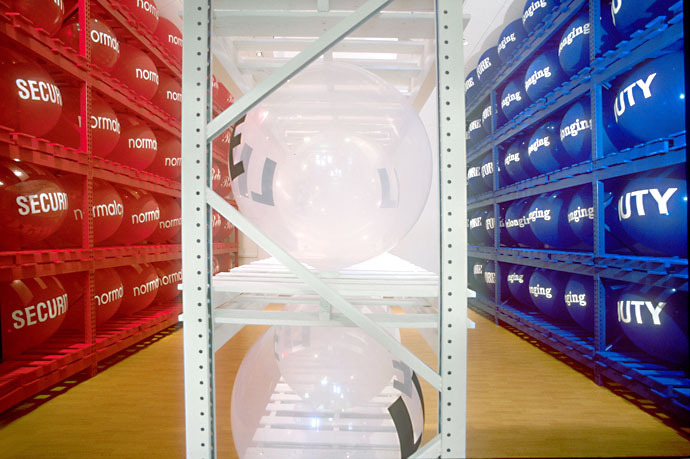 (135) 36” latex rubber balloons, printed. Inspired by President Bush's post-Sept 11 redefinition of shopping as a patriotic act.